Congratulations to the men who graduated from the program! 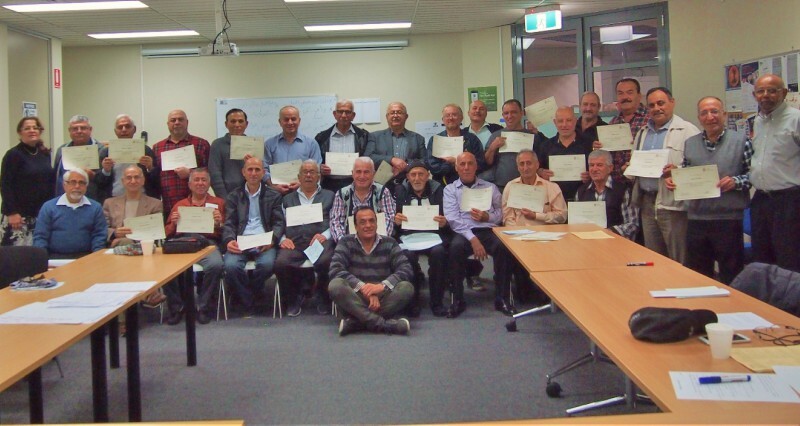 On Friday, 12 May, 2017, 25 men received certificates of attendance at Fairfield for attending seven sessions of the Men’s Health and Traditions program. The program was facilitated by George Marco and Linda George from the NSW Education Program on FGM. The program was well-received, with the men enjoying lots of sharing and laughing throughout the sessions. The program covered important topics that are relevant to new migrants, including NSW Health Services, healthy eating, self-care, as well as child protection laws. Thanks to Murshid Amer from CORE Community Services in Fairfield for providing the opportunity to facilitate the program with his group.